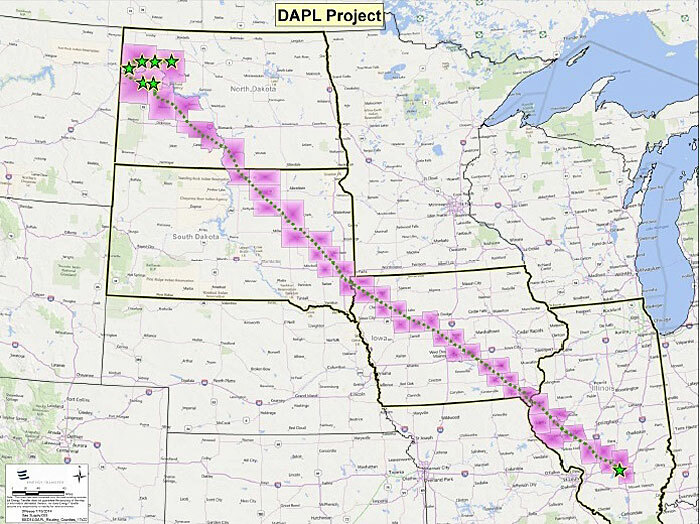 The Iowa Utilities Board is holding a public hearing tomorrow on issuing a permit for the proposed Bakken oil pipeline which will run from North Dakota and through Iowa into Illinois. The Jasper County Supervisors voted yesterday to stay neutral on the issue. Rural Mingo resident, Kathy Holdefer, asked the supervisors to pass a resolution requesting the Iowa Utilities Board deny a permit to build the pipeline. The Boone County Supervisors recently approved such a resolution. 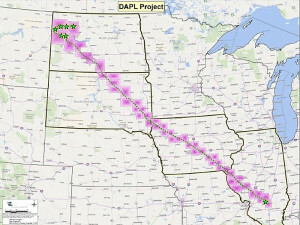 Holdefer disputes the number of jobs that will be created by the pipeline. She doesn’t accept claims the pipeline is a safer way to transport oil than trains, and would reduce the number of oil tankers on the nation’s railways. Eric Schmidt of the Laborers International Union says told the supervisors a resolution is not the way to handle the issue. Schmidt says there is a process in place through the Iowa Utilities Board and he says they are following the process and urged everyone to follow the process and submit a letter of support or against the pipeline through the Utilities Board’s electronic filing system. Supervisor Denny Stevenson agreed that the Jasper County board shouldn’t support or oppose the pipeline. “I very much understand everybody’s point of view — I get it, I know there are concerns — but there is a venue in place and it does not fall to the board of supervisors,” Stevenson says. Supervisor Joe Brock said he sees the supervisors role as facilitating the needs of the county and constituents and says he doesn know if the pipeline is approved and built how that could be done fairly if they pick a side. Board Chairman Denny Carpenter said the Iowa Utilities Board, the Department of Natural Resources, and the Army Corps of Engineers will determine if the pipeline is built, and what they as county supervisors do would not make a difference. He also believes all the pipe for the pipeline would not be coming into Iowa and Jasper County, unless somebody somewhere already knew the outcome of the permit process.